The latest version of the exacqVision Video Management System (VMS), Version 5.4 is now available.Version 5.4 is part of the exacqVision quarterly software release schedule and is available to all users with an up-to-date Software Subscription Agreement (SSA) at no charge. Version 5.4 makes significant additions and improvements to the exacqVision VMS with the addition of significant IP camera models and IP camera functionality, our first phase of video archiving, simplified software updates, a new web service and more. 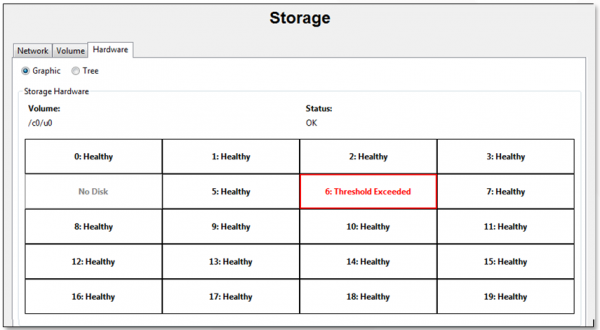 exacqVisionÂ 5.4 introduces the first of three phases to archiving. With this phase, the search feature ofÂ exacqVisionÂ retrieves video from both the local video server and a separate Search Archive drive seamlessly, with the results displayed as if all of the video was originating from the same server. 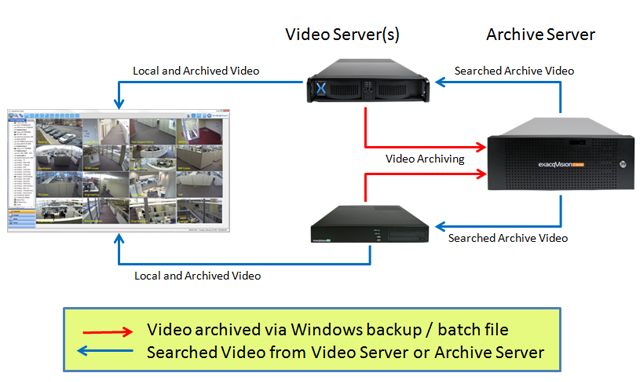 Â Video is archived to the Search Archive drive using Windows backup or Linux batch file protocols. 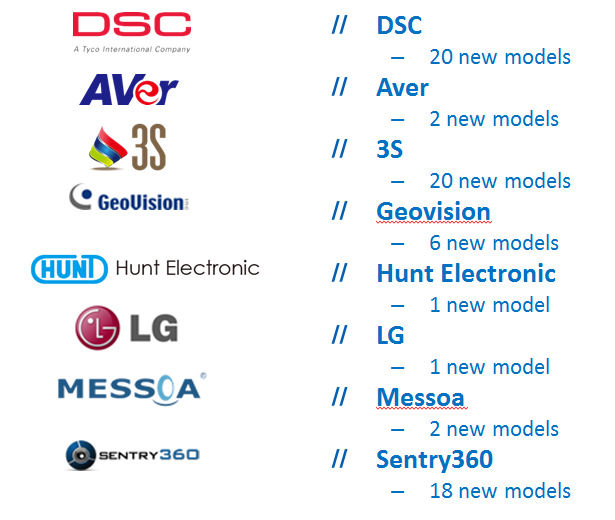 SamsungÂ has quickly become one of the largest IP camera manufacturers in the industry. With the newly developed native driver,Â exacqVisionÂ now supports nearly 90% of Samsungâ€™s IP camera/encoder product offerings. 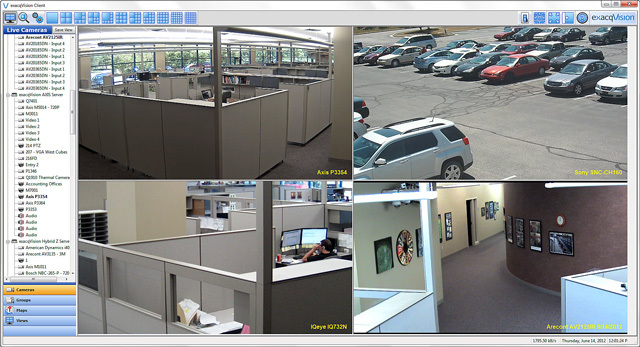 The latest version of theÂ exacqVisionÂ VMS includes new IP camera compatibility with nearly 200 different camera models from major manufacturers. 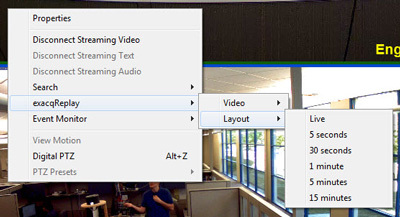 These de-warping features are also available during playback from the client and in exported video clips using the exacqVision Media Player. 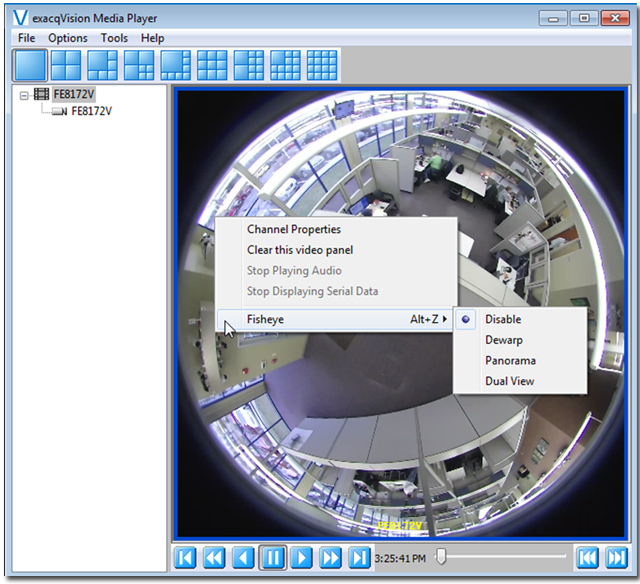 exacqVision 5.4 adds support for the new Axis M3007 camera. The M3007 is a panoramic camera that also provides multiple video streams. Both of these features are supported with version 5.4 and can be viewed and controlled from the exacqVision client software resulting in several unique panoramic views being available from a single camera. Automated and remote updating of your exacqVision software is a centralized, time-saving way of making sure you have the latest software on your systems. REMOTE SERVER UPDATES (available with any server running exacqVision) â€“ With version 5.4, you can now update the server software on a system remotely. With internet access enabled, exacqVision will check for available server software updates from exacq.com and will download the newest update based on your SSA end date. Â If the server does not have internet access, the update can be downloaded and installed on a network drive with a specified location for the server to perform the update. 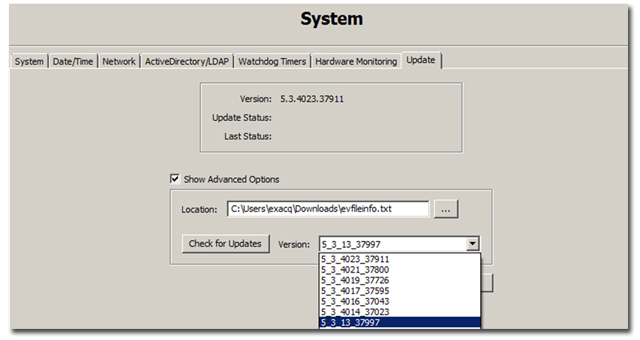 Once configured, the system will display the status of the update during installation and provide an audit log. AUTOMATED MULTI-SERVER UPDATES (available with exacqVision Enterprise and EHM option)Â â€“ The exacqVision Enterprise Health Manager (EHM) now supports automated scheduled updates of multiple servers. Closed system updates can be accomplished by downloading the update and installing it on a network accessible drive. A valid SSA and Enterprise license is required. 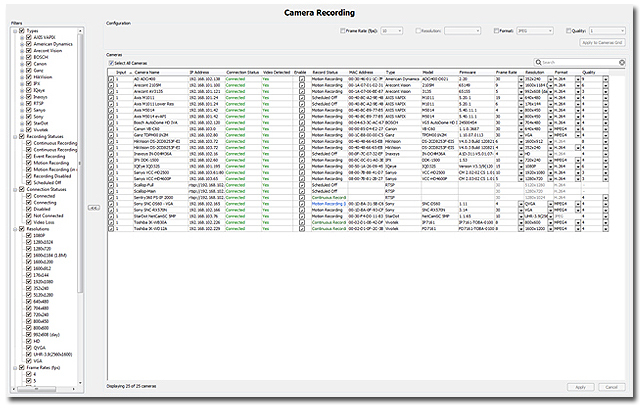 exacqVision 5.4 offers a completely redesigned camera page on the Camera Recording and Enterprise Cameras pages. With this new design, subsets of cameras can be selected using filters on the left side of the screen. Selected cameras can then be configured all at once rather than individually. This should greatly speed up the camera setup process for large installations. Coinciding with the release of exacqVision 5.4 is the release of Version 2.8 of the exacqVision Web Service. The web service allows you to access your servers using an internet web browser on a computer or smart phone. The latest version has been updated to more closely match the client software. Search time boxes and control buttons have been added and video metadata is displayed. 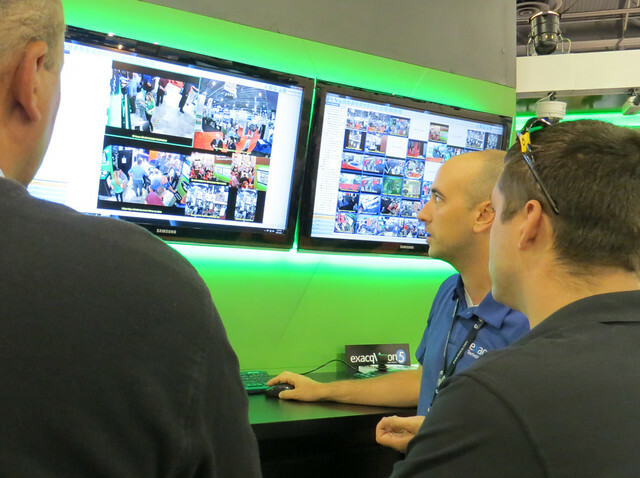 To see a live demo of the exacqVision thin client, click here and choose the â€œAdvancedâ€ option. As always, the latest versions ofÂ exacqVisionÂ client and server software can easily and quickly be copied over existing versions while retaining all user settings. The latest versions are available through â€˜Check for Updatesâ€˜ in the â€˜Aboutâ€˜ box in theÂ exacqVisionÂ software. exacqVisionÂ Server software is available in both Windows and Linux versions, and theÂ exacqVisionÂ client software is available in Windows, Linux and Macintosh native versions. Any version ofÂ exacqVisionÂ client can connect to any version ofÂ exacqVisionÂ server. 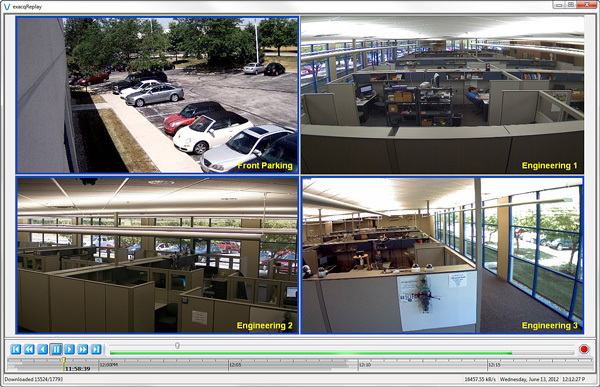 exacqVision 5.2, the latest software release for the exacqVision Video Management System (VMS) isÂ now available. The latest version updates exacqVision Start, Pro, Enterprise and Edge. Itâ€™s compatible withÂ all exacqVision servers (hybrid, IP and COTS) and incorporates new features, third-party integration and improvements. Exacq continues to deliver quarterly software updates and hardware offerings for the exacqVisionVMS. Protect your investment. Always know the status of your exacqVision factory servers with the new Hardware Monitoring feature available with exacqVision 5.2. Track the voltage, temperature and fan speed of your motherboard. In the event that any of the measurement values is outside the minimum or maximum range, an ALARM indicator is displayed and can be sent as a notification via email or text message using the exacqVision Event Linking feature. 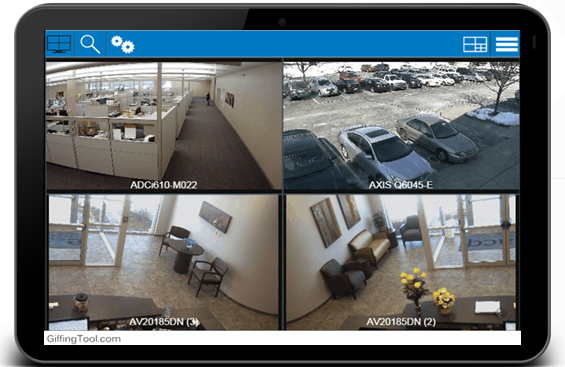 Version 5.2 adds multi-streaming support for Pelco Sarix, HikvisionÂ and InterlogixÂ cameras. The multistreaming feature (introduced with exacqVision 5) allows the ability to set multiple, independent video streams from the IP camera. 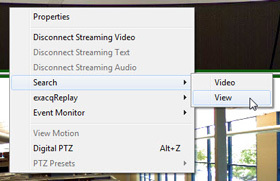 Each stream can be set at different frame rates, resolution and quality level, ideal if you require remote viewing over a limited-bandwidth connection, but want to retain the highest resolution for recording and local viewing. Up to four streams per camera can be selected, depending on the IP camera model. 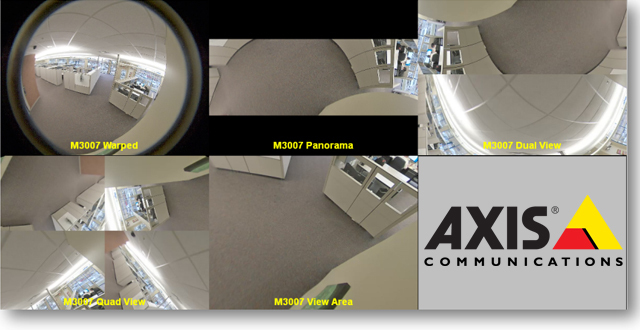 Other supported IP cameras for multistreaming include those from Axis, Arecont Vision, PanasonicÂ and ACTi. Multistreaming is supported in exacqVision Pro, Enterprise, and Edge. We have partnered with Innovative Security Designs (ISD) to bring the exacqVision Edge VMS server directly onto ISD cameras. ISDâ€™s unique IP/analog cameras support the SDXC format with up to 128 GB of on-camera storage to create a powerful single camera solution or a vital component of a distributed solution. Most UDP cameras include on-board video analytics. These events can now be linked directly to exacqVision via the Event Linking feature. Use powerful video analytics to trigger alarms, record video or audio, automatically export clips or send notifications via email or text message. feature multistreamingÂ capability that is also supported with exacqVision 5.2.
analyticsÂ that run directly on the camera.This functionality is also supported by exacqVision 5.2. Weâ€™ve made it easier to create and edit Views, Tours, Maps and Groups by putting them all in the configuration page and creating an easy-to-use, common editing page. Now you can know exactly how large an export file is before you send it. This may help you decide on a particular type of media (e.g. flash drive or DVD) or whether or not to send it electronically. As always, the latest versions ofÂ exacqVisionÂ client and server software can easily and quickly be copied over existing versions while retaining all user settings. The latest versions are available through ‘Check for Updatesâ€˜ in the â€˜Aboutâ€˜ box in theÂ exacqVisionÂ software. 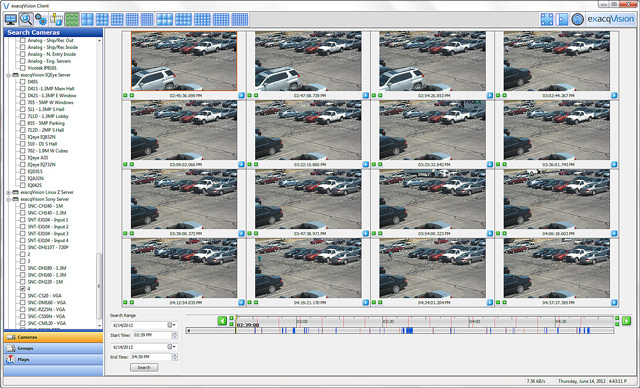 exacqVision 5, the latest software release for the exacqVision Video Management System is now available. This latest version updates exacqVision Start, Pro, Enterprise, and Edge; is compatible with all exacqVision servers (hybrid, IP and COTS). exacqVision 5 incorporates new features, third-party integration and improvements, continuing the delivery of regular quarterly software updates. 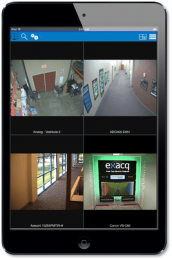 The new Multistreaming feature of exacqVision 5 allows the ability to set multiple, independent video streams from the IP camera. Each stream can be set at different frame rates, resolution and quality level, ideal if you require remote viewing over a limited-bandwidth connection, but want to retain the highest resolution for recording and local viewing. Up to four streams per camera can be selected, depending on the IP camera model. 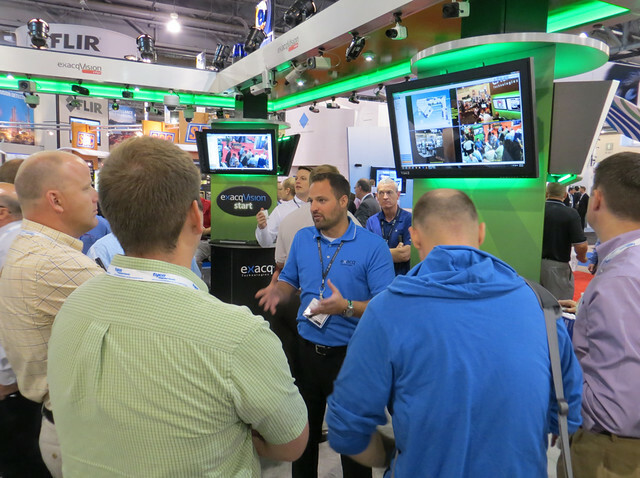 In addition, up to eight ‘Region of Interest’ streams can be setup on select Arecont VisionÂ cameras, allowing for true cropping of individual, independent streams, and a full realization of the benefits of multi-megapixel cameras. The exacqVision configuration calculator has been updated to include multi-streaming. The exacqVision 5client display speed has been vastly improved due to multi-threading and hyper-threading enhancements, taking advantage of multiple processor cores commonly found on most computers available today. Significantly smoother, more fluid video displays and screen redraw speeds of up to 6x are now available. 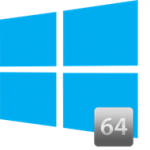 This performance increase is independent of the operating system used on the client, whether it be Windows, Linux or OSX. In addition to client display speed improvements, Search Download speed has been improved by 200%, resulting in noticile faster searched video downloads. 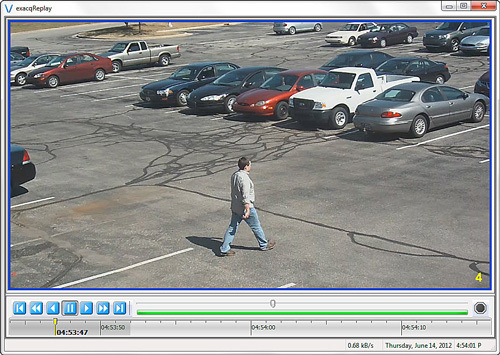 Additionally, searching for specific cameras with the exacqVision Surveillance Keyboard and other compatible USB joysticks has been enhanced for more intuitive use, and the PTZ interface has been streamlined into a single window for easier use and navigation to presets. 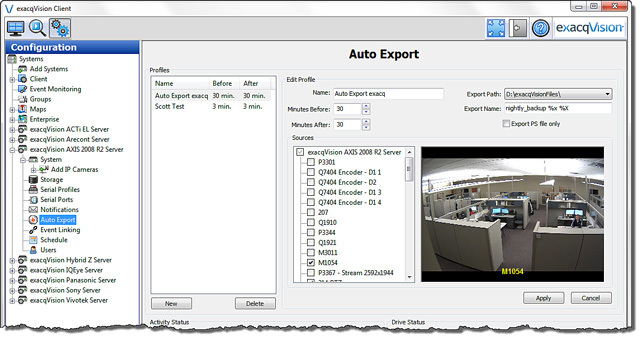 The new Auto Export feature, a revamp of the former exacqRecall function, now enables automated time-based backup of user-selected cameras to user-selected storage. 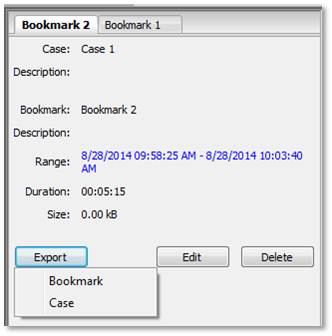 Date, time and other file name-based variables are appended to each export. Support has been added for the interlogix TruVision Open Standards box and dome series cameras (from standard VGA resolution to 5 megapixels) via the Onvif plug-in. Support added for Vivotek VS8401, VS8801 and VS8102 encoders. Support added for the Samsung SNB-5001, SND-5011, SND-5061, SNB-7001, SND-7011 and SND-7061 cameras via the Onvif plug-in. 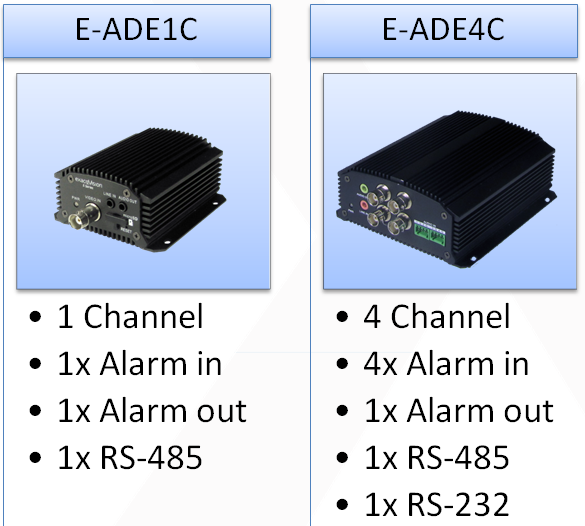 IP Camera support and exacqVision Edge support added for the M1013Â andÂ M1014Â cameras. Onvif plug-in support added for a number of new JVC IP cameras including T16U, T216U, T216VPRU, H37U, H137U, H237U and H237VPU models. New Onvif plug-in support for Messoa models NDF820, NCR870, NDF821, NDF831, NDR891, NCB855PRO and NCR875PRO . Support added for GCI-C0735P, K0779P, K0589T, G0509B, H0503B, and K1526T models via the Onvif plug-in. 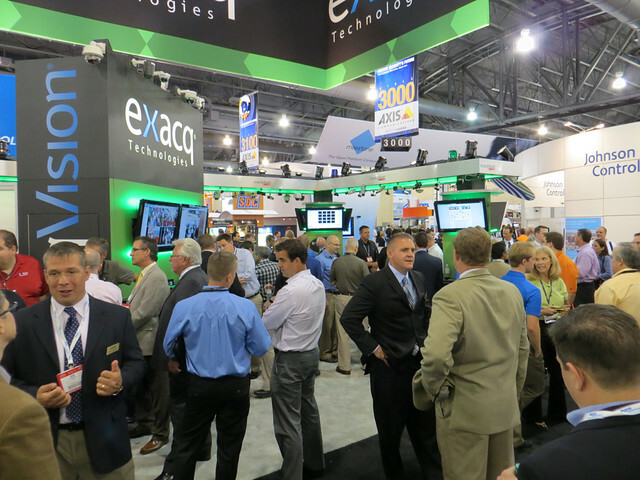 Event linking integration for Sony’s DEPA (Distributed Enhanced Processing Architecture) Advanced video analytics supported by a number of Sony IP cameras has been added to exacqVision. Camera models include CH140, CH180, CH240, DH140, DH180, DH240, EX101, EX104, EX154, RH124, RH164, RS46, RS84 and RS86. More information on Sony’s DEPA Advanced technology can be found here. Integration has been completed with the intuVision Panoptes Video Analytics software, and supports routines such as Line Cross, Loitering, Objects Taken/Objects Left Behind, and People Counting. Integration has been completed with Acic Video Analytics, and supports analytic events such as people entering a zone, crossing a line, vehicle counting and traffic incident). 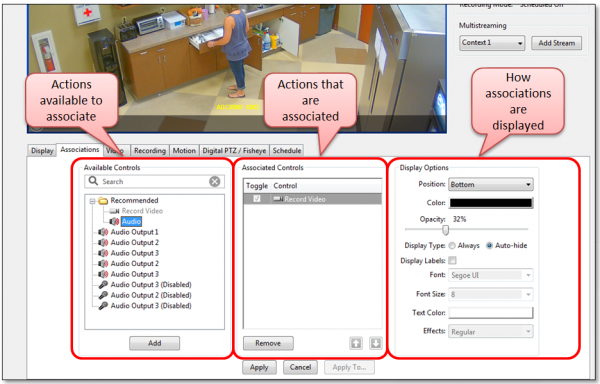 Enriched video streams can also be received in real time, containing advanced motion detection, object position and track, counting and classification statistics. A video showing the integration with exacqVision is here. Integration has been added for the Honeywell MAXPRO PSIM. All exacqVision users with a current SSA (Software Subscription) can download Version 5.0 at no charge. For users who wish to upgrade but are outside of a current SSA, we are offering an upgrade promotion: a fixed price of US MSRP $250/server, regardless of the number of cameras, will get you current with Version 5.0. This promotion runs through December 14, 2012. The part number for the Version 5 Upgrade Promotion is EV5-UPDATE-PROMO and is available through all authorized exacqVision resellers and distributors. As always, the latest versions of exacqVision client and server software can easily and quickly be copied over existing versions while retaining all user settings. The latest versions are available through ‘Check for Updatesâ€˜ in the â€˜Aboutâ€˜ box in the exacqVision software. 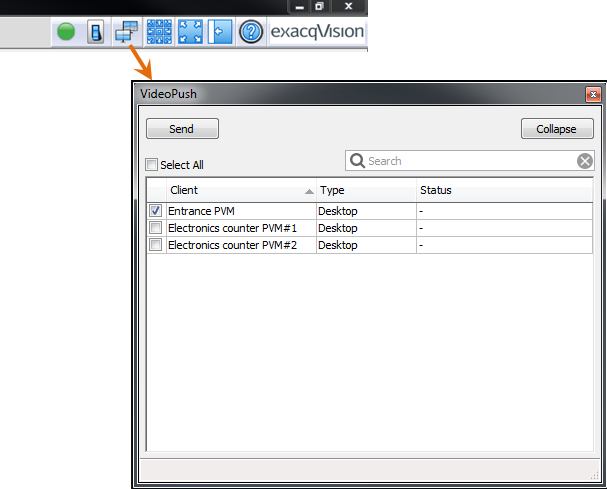 Version 4.11 of the exacqVision Video Management Software is now available. This latest version updates exacqVision Start, Pro, Enterprise, and Edge, and is compatible with all exacqVisionservers (hybrid, IP and COTS servers). It incorporates new features, enhancements and improvements, continuing the delivery of regular software updates. Version 4.11 adds full support throughout for true 16:9 viewing panes in live view, search and playback, thumbnail search, exporting and playback through the Media Player, and through exacqReplay. There can be any mixture of 4:3 and 16:9 aspect ratio cameras. The live view pane size defaults to the most prevalent number of either 4:3 or 16:9 cameras. Version 4.11 introduces refreshed icons throughout the program, designed to be more functionally intuitive as well as aesthetically pleasing. Version 4.11 continues the client optimization by adding support for multithreading for faster client display. exacqReplay, the instant replay feature from the live view, can now replay an entire view. The right-click instant search now can search the current multi-camera view. A new Quick Export button has been added. Simply select cameras, start time, stop time and hit the Quick Export button. The single or multi-camera export will take place in the background, using another core of the client PC processor. The user can then immediately do additional searches, go back to live, or other functions, while the Quick Export is working in the background. Multiple Quick Exports can happen simultaneously, greatly aiding in the ability to easily and quickly export and archive important video incidents. Time has been added as an Event Linking trigger. 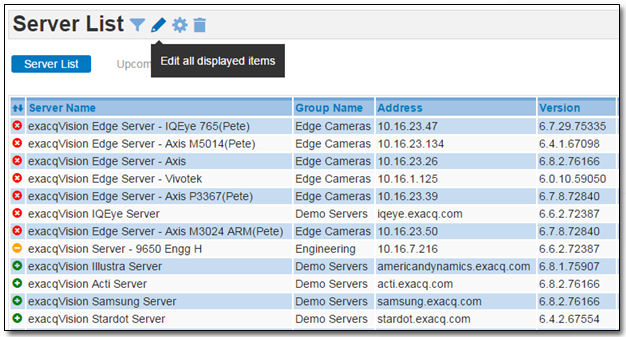 exacqRecallâ€“ archive cameras to DVD, external storage, cloud, etc. 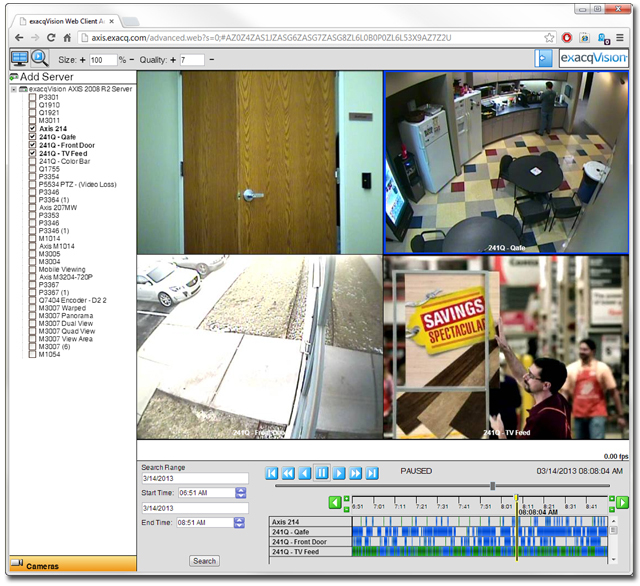 exacqVision Edge, the version of exacqVision VMS that runs on the camera without requiring an external server, now is available for IQinVision Cameras.Â Supported camera models areÂ the IQeye 7 Series and the IQeye Sentinel Series. 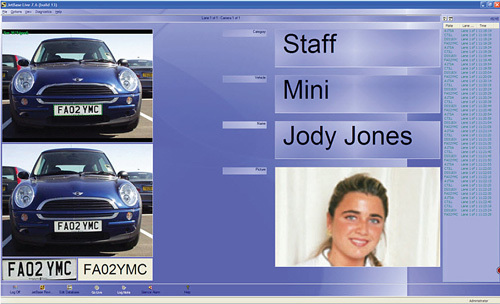 Integration with the CitySync JetBase ANPR software has been added via the Serial-over-IP function in exacqVision. More information is available from the exacqVision-CitySync Integration Guide. 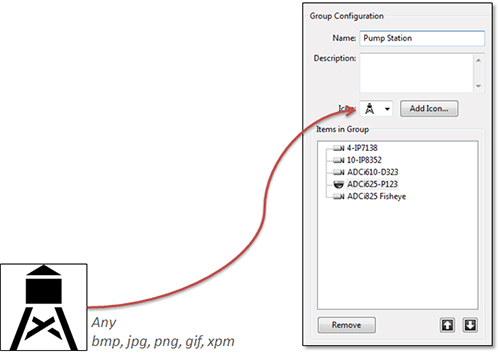 Support has been added for the IPE line of UDP IP Cameras, with the IPN line to follow in the September 2012 release. The IPE Series is a full line of H.264 network cameras, standard resolution and megapixel, indoor and outdoor, box, domes and PTZ. The full listing of model numbers is available on the UDP IPE Series webpage. 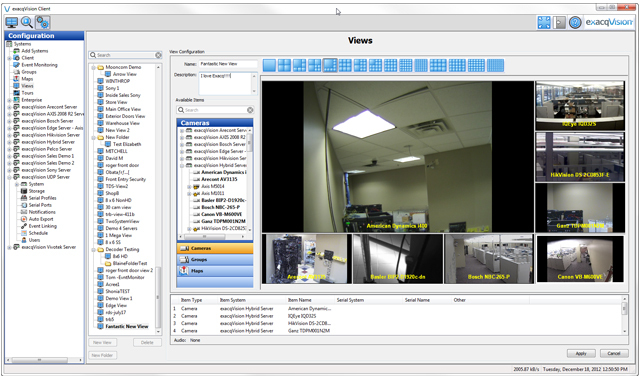 Support is also included for the built-in video analytics of the IPE line via the Serial-over-IP feature of exacqVision. Analytic routines in the cameras include intrusion detection, vehicle monitoring, abandoned-object detection, people counting, loitering detection, camera tampering, and failure detection. Support has been added for the ACTi TCM-1111 bullet camera, TCM-3111 fixed dome camera, TCM-4511 cube camera, and TCM-5111 box camera. Support has been added for the Axis Q1602 and Q1604 network cameras. These two models also can run exacqVision Edge on the camera. 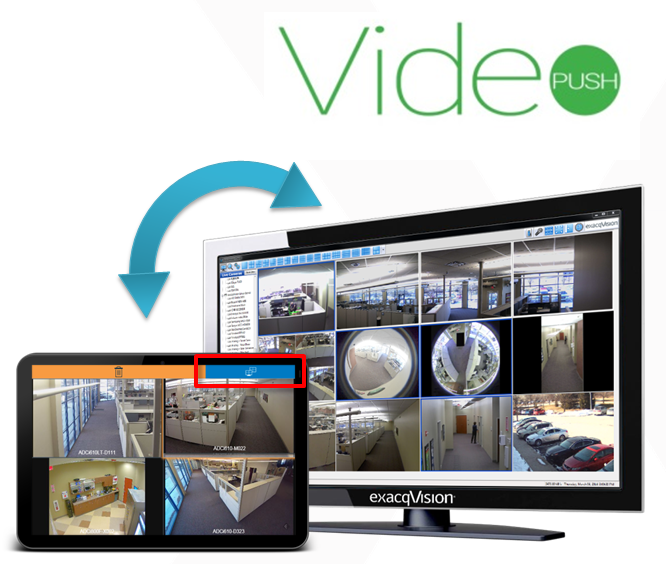 Support has been added for DVTel Quasar Series network cameras via the exacqVision ONVIF plugin. 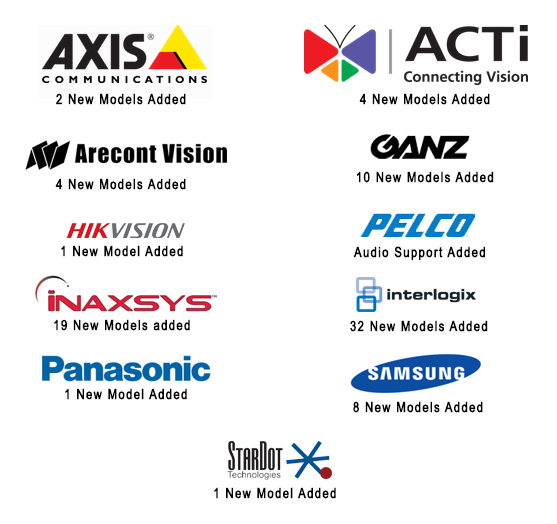 Support has been added for the Panasonic SW172, SW175, SW314, and SW316 network cameras. 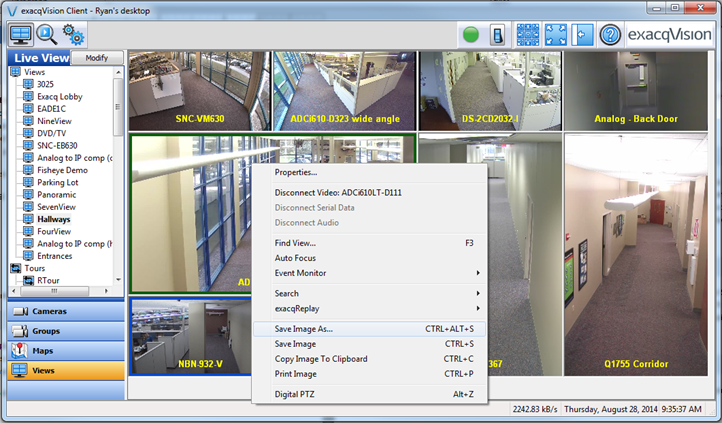 Support has been added for the Truen network cameras via the exacqVision ONVIF plugin. Support has been added for the Vivotek VS8102 encoder, and the FD8361, IP7361, IP8332, MD7560, IP7151, IP7139, FD8362, and PZ8111 network cameras. 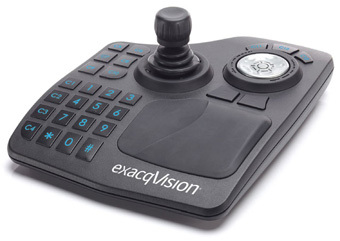 Additional functionality has been added for the exacqVision Surveillance Keyboard, including expanded default mapping of buttons, new configuration page, third axis for variable search speed,, switch navigation tree, switch layouts, and more.